Bethesda has always been a company that knows how to deliever an epic storyline that gives players the freedom to choose how they complete a mission. 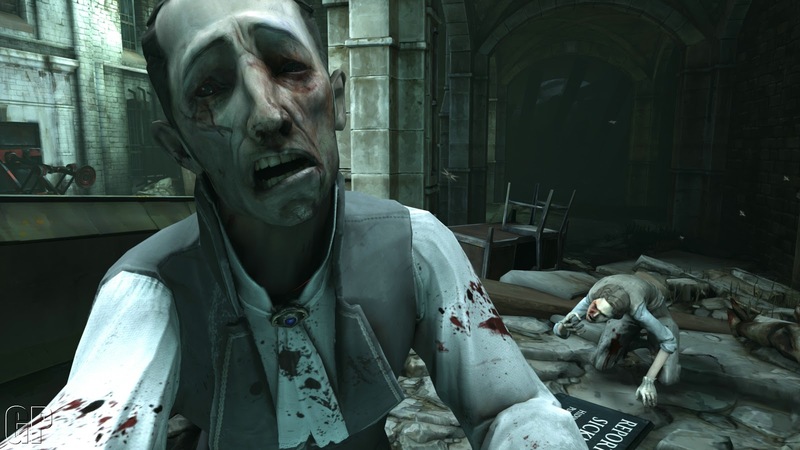 In Dishonored you are a royal protector who is framed for murder and kidnapping. It is your mission to get revenge on those that wronged you and try to find the princess who was kidnapped. If you are unfamiliar with Bethesda, you can see our review of Fallout 3: Vegas here to see just how grandiose their games can be. 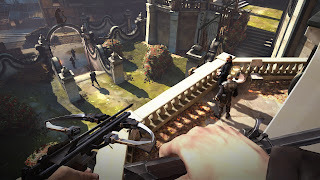 From the minute you start Dishonored you are engrossed in the storyline. This game is played from a first person perspective that helps to draw you in. You get a steampunk style victorian setting where guards are not your only worry. This game is one of choice, you can choose to take enemies out head on in battles where that will see you blocking, parrying, and attacking with various weapons and magic. The enemies in this game can quickly outnumber you if you aren't careful and combat can you tense. If you don't feel like fighting Dishonored also allows you to utilize stealth to complete your objectives. I was able to get through the first section of the game by only killing one enemy. The controls in this game are very similar to many first person shooters, but I have to say that I haven't seen such tight controls in a long time. The controls make it easy to drop down from a vantage point silently and sneak up behind your enemies. From here you can pickpocket them, kill them or render them unconscious. The question arises from here, why even care about killing or just knocking out guards. The answer comes in the form of rats. The rats in Dishonored carry the plague virus and when in large enough numbers can devour flesh off a human being with rapid pace. The more that you kill in this game the more rats that will begin to populate the world. You will also see the world grow darker in order to reflect your actions. Know this brings us to the question of why we would review this game on a zombie-related site? The answer comes in the form of plague victims. As I stated there are many plague rats that fill the streets infecting unlucky citizens. These plague victims become very disoriented and will attack with viciousness. They want to hurt you. The more you kill, the more the plague will overtake the city and the more enemies that you will come across. The plague throws out shades of a virus and the rapidity that it spreads throughout a populous once a proper catalyst is in place. 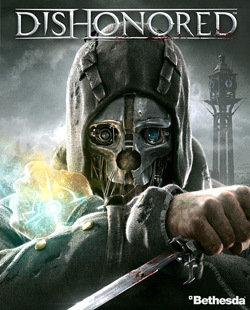 As for the rest of Dishonored I will say that the soundtrack is amazing and that the dialogue is spot on in many situations that I have come across. The general atmosphere is dark in the streets and luminous in the target areas. You will see the dire environment around you and want nothing more than to make things right. In regards to length all I will say is that this is a Bethesda game. With that I mean that you will not be completing this in a few settings. You can easily put many hours into this game as it keeps the action at a reasonable pace. This game may not have zombies in the typcial sense, but the plague victims that litter the streets make this a game where you must avoid the infected in order to make your mission a bit easier. We see moral choice upfront in this game and that creates the immersive environment that makes this game an instant hit. The game is currently available for Windows PC, Xbox 360 and Playstation 3. Go out and pick this one up and get revenge on those that 'Dishonered; you.